When it comes to needing a mouth guard or night guard, there’s a lot of terminologies that can be confusing for patients. Here in Thornton, CO, Barron Family Dental has extensive experience in helping you understand what type of mouth guard or night guard might be best for you, as well as custom fitting mouth guards, to ensure you receive the best solution possible! Both mouth guards and night guards help protect teeth. The difference comes in the reasons behind why protection might be needed and the style of guard that will offer the best protection. Mouth guards typically refer to sports and, most often, are for children and teenagers playing sports. This form of oral health protection is a guard that is worn over the teeth while participating in sports or recreational activities to protect the teeth and mouth. Mouth guards buffer the teeth from injury and act as a barrier between teeth, cheeks, lips, and gums. Mouth guards are useful for all types of sporting activities including football, basketball, soccer, skateboarding, gymnastics, biking, and more. 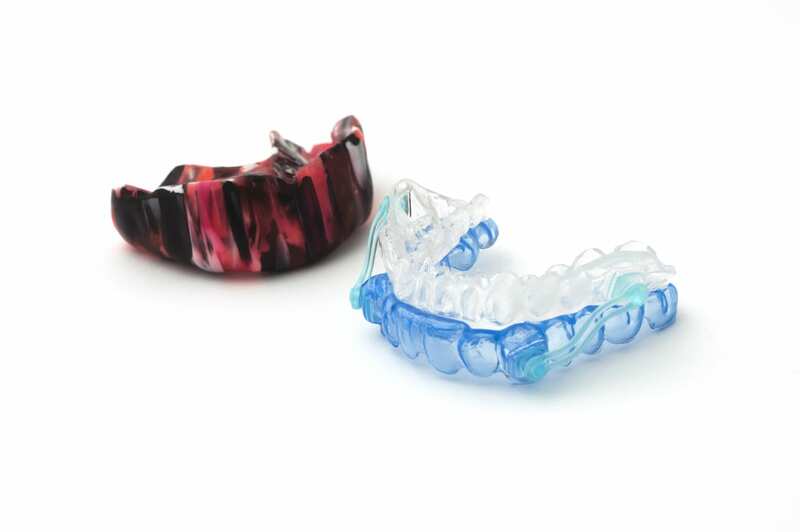 Mouth guards are also a wise choice for youngsters and teens who have braces to provide further mouth protection. Night guards are sometimes referred to as ‘dental mouth guards’ and protect teeth from grinding and clenching during the sleep. Nighttime grinding, called bruxism, is a sleep disorder where the teeth and jaw are unconsciously clenched tight. The result can be jaw, neck, and face pain plus chipped, loosened or ground-down teeth. The first step to minimize bruxism is by trying to reduce stress during the daytime. Relaxation, breathing techniques, and meditation are some of the ways that may reduce stress and, therefore, minimize nighttime grinding. If this is not reducing the presence of bruxism, a night guard is used to protect from grinding and reduce the effects on the teeth, face, and jaw. Traditionally, mouth guards of all types were bought at a sporting goods store or a drugstore, placed in the mouth and worn. These stock mouth protectors are one-size and pre-formed but, unfortunately, don’t provide the best fit or comfort. 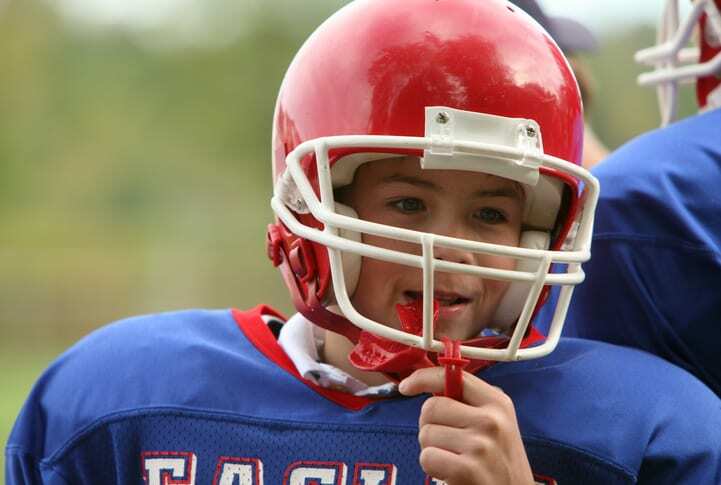 Many sporting goods stores also offer mouth guards that are pre-formed but can be altered. By putting the mouth guard in boiling water and then biting while still warm, the mouth guard is molded to provide a better fit for an individual’s mouth. While convenient, these boil-and-bite mouth guards still can be poor fitting and uncomfortable. Barron Family Dental provide custom-made mouth and night guards for a better fit and improved comfort. You will get better protection when a mouth guard, used for whatever reason, fits distinctly to your mouth, teeth, and individual bite shape. It’s simple and fast to have a mouth or night guard custom-made for your or your child. Barron Family Dental offers sizing through an impression of the teeth and has the mouth guard constructed to that exact shape. A more comfortable mouth or night guard means patients will wear them and get the protection they need!